← Grab your Gear… the Adventure Starts Here! 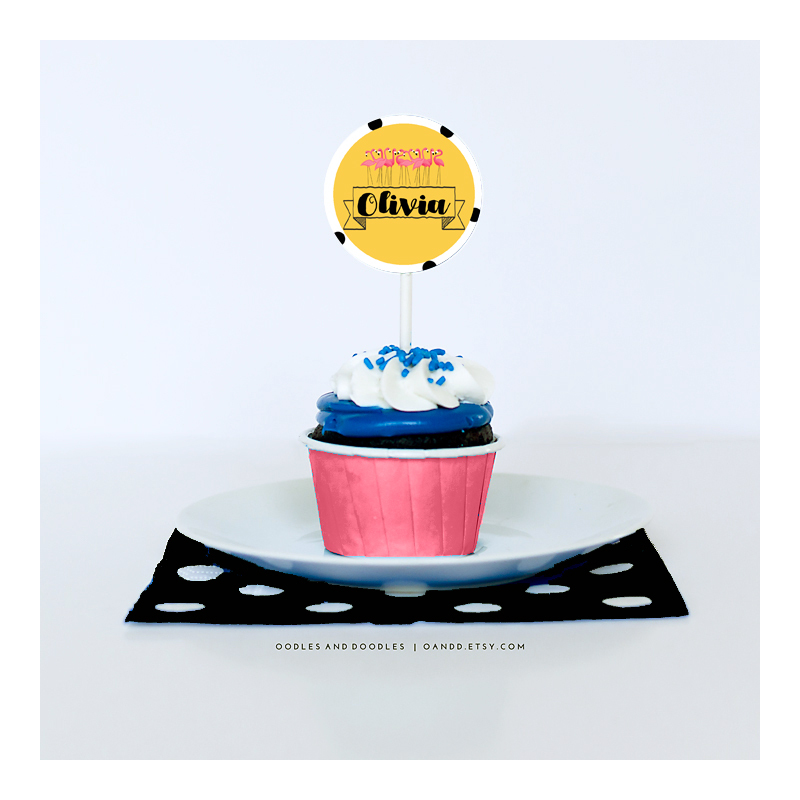 Get your printable cupcake topper file. You can purchase already personalized ones, or you can use our FREE download to make some super chic flamingo toppers as shown above. Print the file from any color printer on heavy duty white card stock. Once printed, trim off the excess white borders and use a 2 inch round punch to cut the circles. (I especially like this punch). Don’t have a punch? Don’t worry, you can always trim out the circles with scissors, or even easier, trim them out as squares. 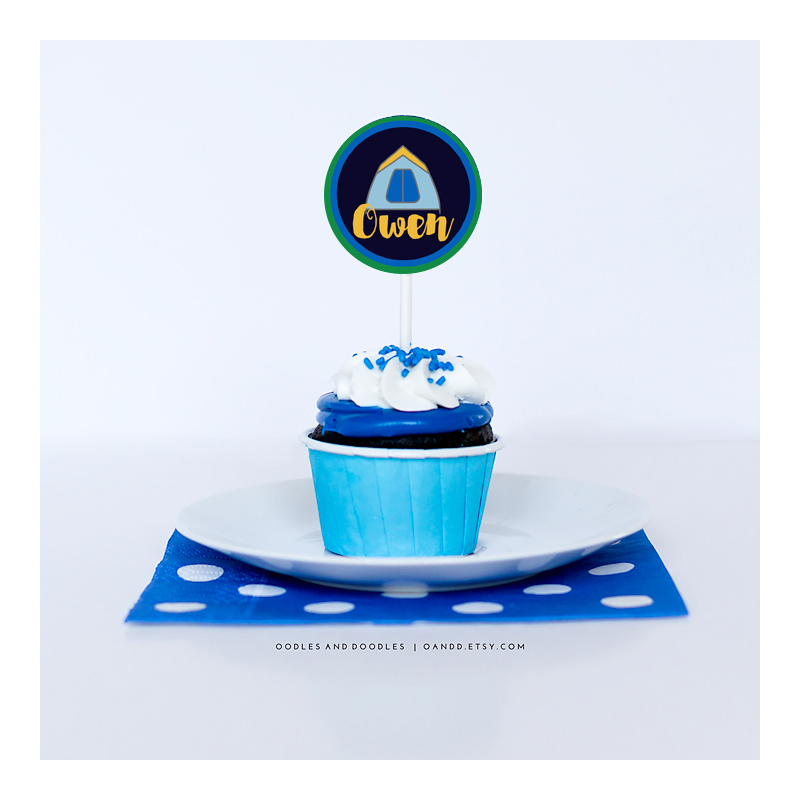 (That’s why all our printable cupcake toppers are formatted as a circle inside of a square, so you can take the easy way out!). Once you have the circles (or squares) punched out, you’ll want to adhere them to lollipop sticks. Make sure to purchase the short lollipop sticks (and not the super long ones). You can usually find these in the baking aisle of any craft store. I like to glue gun the sticks on to the back, but you can also use a small round white label if you don’t want to see the glue. And viola! Stick those suckers in the cupcakes. And that’s it.. you’re done! (And for just a couple more extra adorable tips, check out this previous cupcake post).